I wasn't really satisfied with the Prophet so I figured I'd do more onroad cars. The drift version isn't intended for regular races but I guess you can try anyway. The GT version has a better top speed and acceleration than the rally version, however, its handling is much more delicate. The rally version is imo quite comfortable to drive and can go on almost any track. UPDATE ! 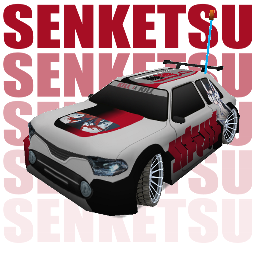 Senketsu GT moved to amateur class and Senketsu Rally got a modified body.